Monthie Mechanical Inc is proud to serve the Winchester community! Please call us today at 859-255-8081 to consult with our home comfort specialist. About Winchester, KY - Happy to be your hometown Heating & Air Conditioning Contractor! 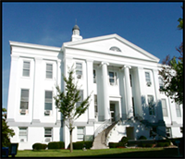 The city of Winchester is located in Clark County, Kentucky, approximately eighteen miles east of the city of Lexington. Established in 1793 on land donated by frontiersman John Baker, Winchester was named in honor of his hometown, Winchester, Virginia. Today the city is home to a population of approximately 18,000 residents who enjoy the long, hot summers and mild, cool winters produced by the city’s positioning in the humid subtropical climate zone of the U. S.
The city of Winchester is a great place for history lovers and features a wealth of historical buildings and homes that will keep history buffs busy for days. Winchester’s historic downtown business district is listed on the National Register of Historic Places and features globe lampposts and an elevated sidewalk that have graced the streets of downtown Winchester since its early beginnings. Downtown Winchester is home to quaint shops, wonderful restaurants, and several historic buildings such as the S. P. Kerr Building, circa 1889, and the Citizen's National Bank Building, circa 1886, two of Winchester’s most impressive structures. Also in downtown Winchester is the Bluegrass Heritage Museum, which is housed in the historic Guerrant Clinic building and features collections and exhibits relative to the history of the city, surrounding Clark County, and the Kentucky Bluegrass Region. The Holly Rood home was built in 1814 by Kentucky’s 12th Governor, James Clark, who constructed it in the Federal style of architecture common to the Governor’s native state of Virginia. The city of Winchester isn’t just for history buffs! Other attractions such as the Leeds Center for the Arts, Lower Howard's Creek Nature and Heritage Preserve, the Winchester Country Club, and the nearby Daniel Boone National Forest, make Winchester a great place for outdoor enthusiasts, golfers, and cultural arts lovers, as well!